Mike Quartararo is the managing director of eDPM Advisory Services, a consulting firm providing e-discovery, project management and legal technology professional services to law firms, corporate legal departments and service provider organizations He is also the author of the 2016 book Project Management in Electronic Discovery, which merges project management principles and best practices in electronic discovery. Mike has been solving client problems using technology for 20 years. He has built his career upon strategic and innovative thinking, leadership and operational skills he honed while working at the best legal organizations in the world. 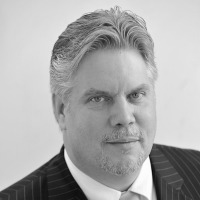 A former law firm director, project manager, database specialist and paralegal, Mike has decades of experience delivering e-discovery, project management and legal technology solutions. He is graduate of the State University of New York and he studied law at the University of London. He is a certified Project Management Professional (PMP) and a Certified E-Discovery Specialist (CEDS). He sits on the national board of the Association of E-Discovery Specialists and is the ACEDS liaison member to the Advisory Committee of Duke-EDRM. Mike frequently writes and speaks on issues related to project management, e-discovery and litigation support. What Must You Do When the Opposition Wants to Use TAR?